Going by those definitions, Sukham Ayu, authored by award winning duo - Jigyasa Giri and Pratibha Jain - is more than just a cook book. It is a coffee table book that engages the casual reader as well as the health conscious information seeker. The book explains the 'art of eating' and absorbs you completely with its insights on Ayurveda. 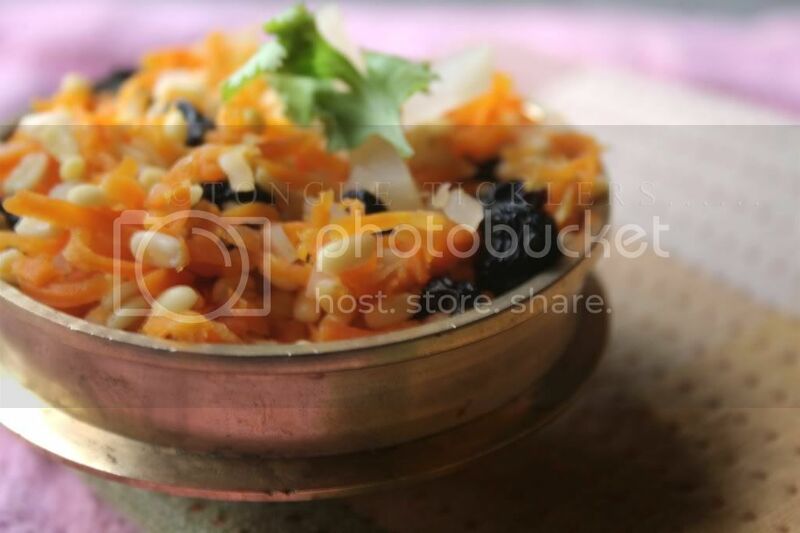 The recipes are vegetarian(eggless)and picked from all over India. As I said in the previous post, these recipes have been tried and tested at KARE(Pune). Since the aim of the book is to bring the concept of therapeutic cooking back into the kitchen the recipes have been kept simple and make use of commonly available ingredients. The book prompts you to rethink and reassess the methods of cooking you use, and there will be times when you will discover "why grandma(could be ma, pa or the cook) cooked this way." Towards the end(?) you will be gently prodded to recognize the needs of your body and plan your meals in accordance, before you start cooking from it! You are probably thinking this is crazy! Why 'towards the end'? That too in a cook book! What for is the index? Ummm... sorry folks! I belong to the category of people who retire to bed with a novel that sometimes gets replaced with cookbooks that have great content accompanied by luscious photographs!! You see? Sukham Ayu has both! Peel and chop 1 medium-sized bottle gourd and blend in a juicer along with 2 grated gooseberries (or a dash of lemon juice) and 2-3 peppercorns. Garnish with 3-4 chopped mint leaves and consume immediately to avoid discoloration. Notes: The juice of BOTTLE GOURD is highly recommended for daily intake. Sweet in essence, nourishing and good for the heart and tissues, it mitigates all the doshas. Select a gourd which is neither too tender for that will increase vata and kapha, nor one that is too ripe as that will increase pitta. (The moong dosa we were served at KARE and which I had shown you in the tour is a take on 'pesarattu' from Andhra Pradesh. 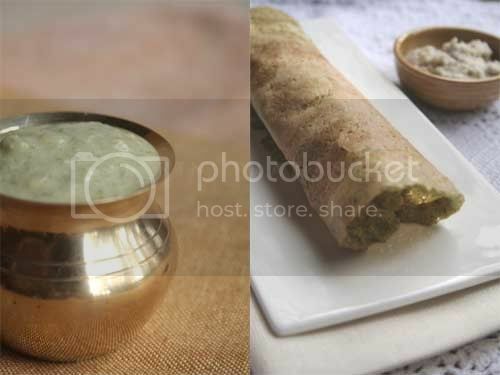 While pesarattu makes use of whole green gram, the moong dosa uses dehusked, split green gram known in Hindi as 'moong dal'. In the book this is called 'basic home style chila' )(Chila is the word for 'pancakes' in the North India). Wash and soak the gram and rice for 3-4 hours. Strain and grind into a smooth batter with the ginger, garlic, coriander leaves and salt, using some of the strained water. The batter should be of thick, pouring consistency. Heat a skillet or non-stick pan and brush with a little ghee. Pour a ladle of the batter on the pan. Spread it as thinly as possible with the base of the ladle into a round and even pancake (chila) of 6-7 inch diameter. Reduce flame and drizzle ¼ tsp ghee (remember to reduce fat for kaphas) around the chila. Allow to cook for 1-2 minutes. When it starts to brown and separates from the pan, flip over with a flat spatula. Cook for 1-2 minutes. Serve 1-2 Chilas per person with any chutney from this selection for breakfast. You can add chopped onions, grated carrots, fresh fenugreek leaves and spinach to this batter either singly or in a combination of your choice to enhance taste and nutrition. When using vegetables, roast the pancakes for an extra minute or two. Notes:This is a basic home-style pancake made with green gram. Soaked well and made into a delicious batter, this is an excellent tridoshak snack and also helps in recuperation after illness. Wash and soak ¾ cup split green gram (husked) for 3-4 hours. Strain and set aside. Blanch 3 medium-sized carrots, peel and grate. Toss the soaked gram and carrots along with 3-4 finely chopped dates, a few pieces of finely chopped green chilli, a dash of lemon juice, chopped coriander leaves and salt to taste. Garnish with the crunch of black gram, mustard and asafoetida tempered in 1 tsp sesame oil (original recipe calls for cow's ghee). Notes: GREEN GRAM, along with MASOOR (red lentil) are considered superior among lentils. Both cook well and are flavoursome. Sweet-astringent in essence, they balance pitta and kapha. Of the two, green gram is more conducive to vata. Ayurveda recommends that one should not consume raw foods. Processes like steaming, churning, grinding, boiling or baking help food substances undergo agni samskara or refinement by fire. This improves the quality of food, and also helps reduce microbial load present in raw foods. However, onions, and herbs such as mint, parsley, celery, basil and coriander, can be used raw, but in lesser quantities. 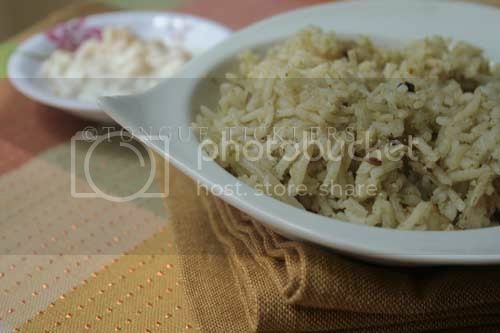 Wash and soak rice for 10 minutes. Strain and set aside. Grind the ingredients of the paste adding just enough water to make a thick paste. In a pressure pan, heat ghee and add the ingredients of the tempering. When they begin to crackle and let out their aroma, reduce flame and add the onions. Sauté for 4-5 minutes until onions turn light pink. Add the paste and continue to sauté for 2-3 minutes. Add rice, sauté for a minute and add 2 cups warm water along with salt. Pressure cook for just 1 whistle. 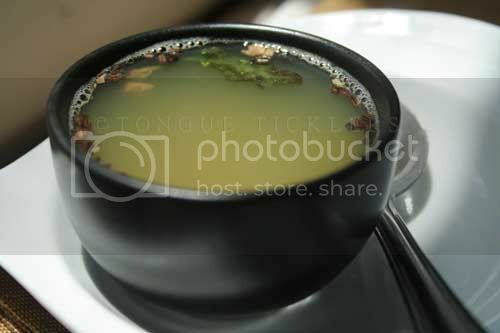 Note: The aromatic MINT leaf is sweet and pungent in essence. It is heavy and has a cooling effect. Said to be good for the heart and for eliminating worms, it balances vata and kapha and stimulates digestive fire. Coriander and coconut lend their sweetness to make this recipe conducive to all doshas. Pressure-cook the red gram to a soft consistency. Alternately, soak the gram in warm water for half an hour, strain and boil in 1 cup water in an open pan until soft. The gram need not be mashed or churned. Add chillies, crushed ginger, turmeric powder, rock salt and 2 cups water and allow to simmer for 5-7 minutes. Strain and set aside. In a wok, heat ghee for tempering and pop the mustard. Reduce flame and add the cumin, asafoetida and curry leaves. Pour this tempering into the simmering soup. Switch off flame and flavour with lemon juice and coriander leaves. 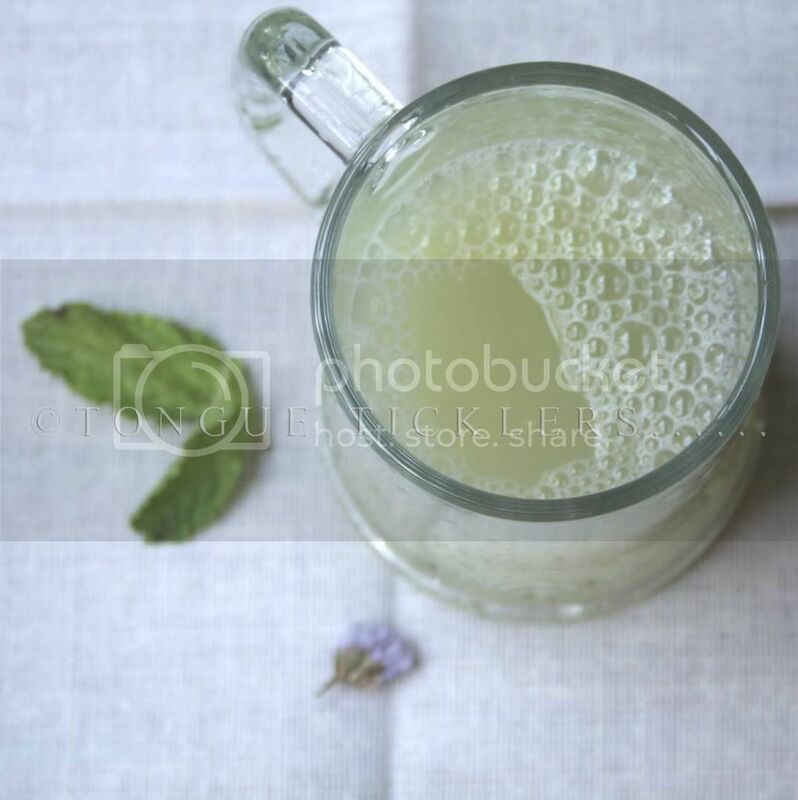 Try this warm and soothing drink during a cold winter evening. A healthy soup, it is much recommended during convalescence. Notes: A sharp flavouring agent in many dishes, GINGER has a pungent essence and sweet post-digestive effect. Chewing on a teaspoonful of crushed ginger and salt before a meal, stimulates digestive fire and enhances taste. I enjoyed making all the above as well as few others. We loved the mint rice best as it is different from how we have had in the past and very tasty too. 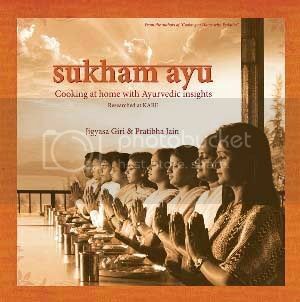 Do look up Indira's (of Mahanandi) review of 'Sukham Ayu' here where she presents an interview with the authors. For more information regarding purchase offers please refer Pritya.com here.